A house fire near Country Club and 5th Street sent a resident and two firefighters to the hospital early Sunday morning. Multiple calls were made to 911 reporting flames and heavy black smoke in the area. 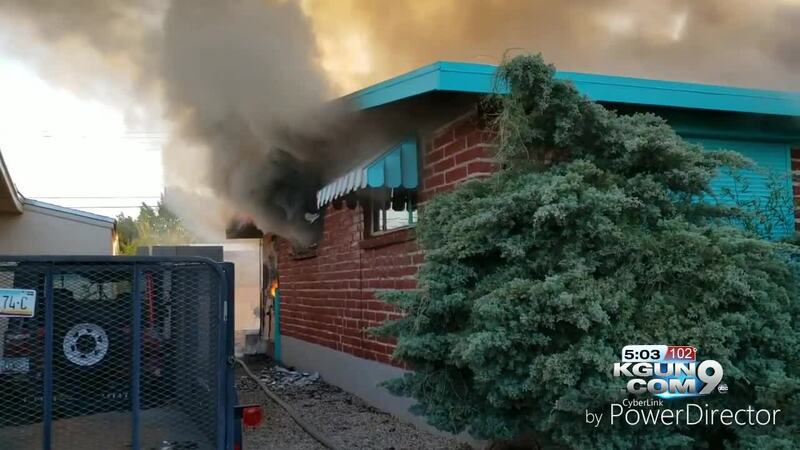 When Tucson Fire Department crews got to the scene they were told all occupants were out of the home but one resident was burned and needed medical attention. 23 firefighters were able to get the fire under control 34 minutes after arriving. Two of those firefighters were taken to the hospital for precautionary reasons. Fire investigators are working to determine the cause and origin of the fire. Building safety/code enforcement was at the scene because the house will be condemned due to damage.